Oh Opal I decided to try this opal nail look I saw on Lockerz. 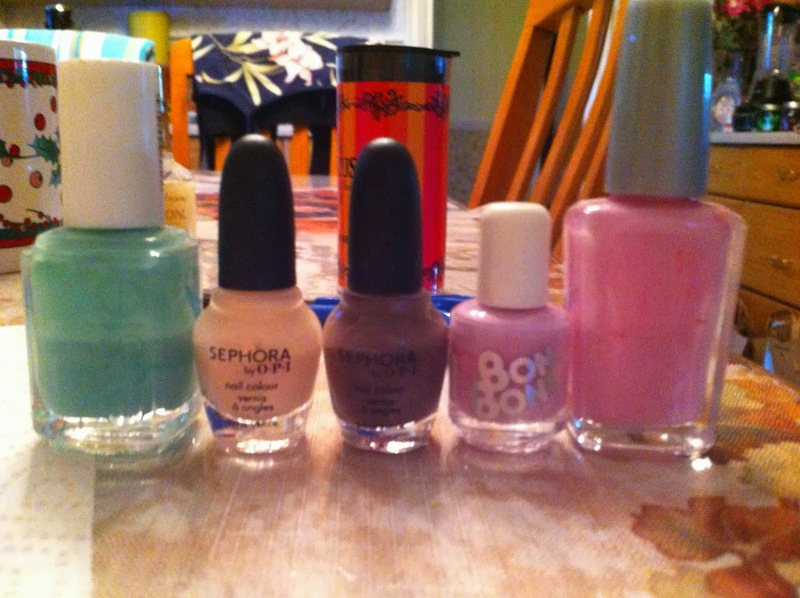 I always wondered how people would blend nail polish colors together without it being clumpy. After doing some research, I found out the trick is to use plastic wrap. Yes, plastic wrap! 1) Paint your nails white (or any other base color you want). 2) Choose a few different nail polish colors that you feel complement each other well. 4) Place the plastic wrap (or plastic ziplock bag) over your nail. You can tap on the plastic a few times or move the plastic around a little bit. 5) After you remove the plastic, paint on top coat. P.S. I have a tumblr now too! Check it out.